The wife of an undocumented immigrant who was deported to Mexico this week after living in the U.S. for three decades will be attending this year's State of the Union speech, according to a Michigan congresswoman. Cindy Garcia’s husband, Jorge, was deported on Monday. The 39-year-old father of two was undocumented when he was brought to the U.S. at age 10, according to Cindy Garcia and their family lawyer. Rep. Debbie Dingell, D-Mich., announced Thursday that she had invited Cindy Garcia to be her guest to President Donald Trump’s first State of the Union address in Washington on Jan. 30. 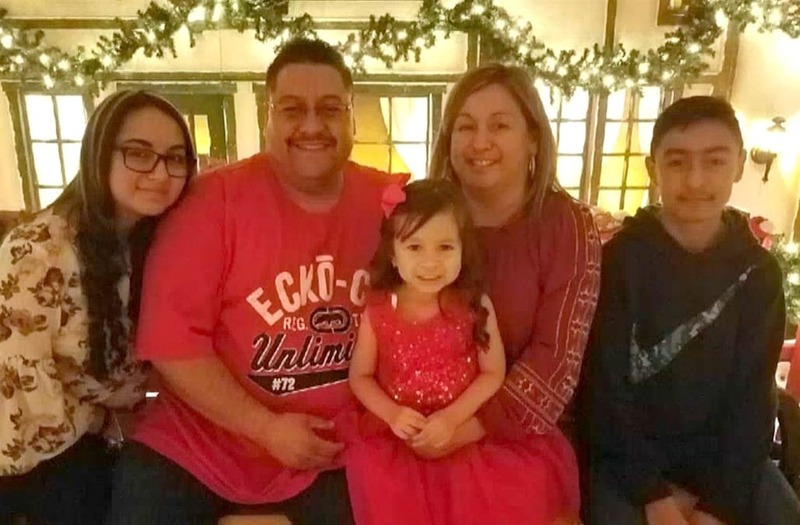 Jorge Garcia was deported despite having no criminal record in three decades of living in Michigan, his supporters have said. The Garcias and their daughter and son can be seen on an emotional video embracing and sobbing as they said goodbye near the security gates at the Detroit Metropolitan Airport. “This week, America watched in horror as Jorge Garcia, a father of two and husband to an American citizen, who was brought to this country at 10 years old and has never received so much as a traffic ticket, was torn from his family and the only home he knows,” Dingell said in the statement. Family lawyer Mayra Lorenzana-Miles told NBC News on Tuesday that Jorge Garcia was slightly too old to qualify for Deferred Action for Childhood Arrivals, or DACA, the Obama administration program that protected people brought to the United States illegally as children from being deported. Garcia lost his immigration case and appeal and was given a final order for removal for 2009, according to Lorenzana-Miles. He was granted a stay of deportation and the family has been meeting annually with U.S. Immigration and Customs Enforcement (ICE) officials. That all changed this year, when they were told he would have to leave the country. Garcia was given a deportation date for November, but Dingell spoke with ICE officials to get an extension, which allowed him to remain in the U.S. through the holidays, according to the statement from her office. “The Congresswoman continues to work with the Garcia family to reunite them as quickly as possible,” the statement said. ICE spokesman Khaalid Walls on Tuesday said that Garcia was subject to a final order of removal in 2009 and ICE used “prosecutorial discretion” in subsequent years and he was not detained. Garcia was deported on Jan. 15 "pursuant to the judge's removal order," he said. Lorenzana-Miles said Garcia is unable to return to the United States for 10 years, although they are applying for waivers for him to possible come back sooner. Cindy Garcia, who is a U.S. citizen, said her family was left devastated. “It’s a nightmare that came to life that we don’t wish upon anybody," she said on MSNBC on Tuesday.